I went to be alone with the Lord so I could pray into this word “reboot.” He suddenly gave me a tremendous burden to intercede for the new season that started Sunday evening, September 13, 2015, at Rosh Hashanah. The burden to intercede was very heavy. And as I prayed, the Lord downloaded three heavenly directives for this new season that I want to share with you today. What is a heavenly directive? A heavenly directive is a prophetic announcement from the Holy Spirit of where He wants to take us in this new season. It’s a road map that reveals both what Father wants to do AND how we should change our thinking and our decisions in order to receive everything He has for us. For more about heavenly directives, read Heavenly Directives for YOUR New Season. You can also check out my entire, free teaching series on new seasons here (with 19 FAQs about entering your new season). Seek first the kingdom of God and His righteousness, and all these things shall be added to you” (Matthew 6:33). It’s time for a reboot. Your intentions have been good in this last season, but some important things have fallen by the wayside. It’s time for a new vision and a new strategy that truly puts God first in every area of life. God wants you to realign yourself and place Him as your first priority, not only because it’s the right thing to do, but also because He has some things He wants to add to you this season. He is a good, good Father who gives good and perfect gifts, and He wants to pour out on you right now. What does realignment look like? Your realignment could be very practical. For example, the Lord might speak to you about changing your sleep habits so you can wake up fresh and energized, with clear ears to hear the Lord and put time with Him first in your day. The thoughts and intents of your heart may also need to be realigned. For example, if you’re having trouble in your marriage or family, it’s time to dig into Ephesians 5 and other Scriptures about family. Ask the Lord to do any heart surgery He needs to do so that everything in you and your relationships can line up with His Word. You’ve been waiting a long time, and God is ready to add some things to your life. You’ve been waiting to see the reward of your labor. You have been faithful and labored much, but your reward has been held back in many cases. In this season, however, God wants to bring you your reward. In order to do so, He needs you to get and stay directly under His pipeline so you can receive everything He has for you. When you seek first His kingdom and His righteousness, God’s holy pipeline of blessing and reward can dump into every aspect of your life. 2. Expect the unexpected–in a good way! So in this season, you should expect happy surprises. As you seek Daddy God first in this season, He is going to add some things to your life that you never imagined. But what about the good things you HAVE imagined? “Expect the unexpected” doesn’t negate the importance of the things He has already promised you—those things that you do imagine; the things you KNOW are your inheritance. I felt strongly like the Lord was talking about adding those things to you under Directive #1. But the promise of 1 Corinthians 2:9 is completely different. This is a promise of amazing things that you have never thought of before—good and perfect gifts that only your good, good Father could have conceived for you. The Lord also emphasized the word “prepared” in this passage to me: “… which God has prepared for those who love Him” (1 Corinthians 2:9, emphasis mine). “Prepared” is past tense because it’s already done. Did you know that all of God’s work for your life is already done, finished, complete, in the books? Yup. It’s true! For we who have believed do enter that rest, as He has said: “So I swore in My wrath, ‘They shall not enter My rest,’” although the works were finished from the foundation of the world” (emphasis mine). Scripture clearly explains that God has already finished the good works He has in store for your life. When the Holy Spirit highlighted this word “prepared” to me from 1 Corinthians 2:9, He reminded me that His plan for you is already finished. Every good work He wants you to do is already completed in His economy. Call forth those good works that Father has prepared for you. Speak to the finished works the Father has prepared for you before the foundation of the world, and command them to manifest in Jesus’ name. I do this regularly, and I see miracles of open doors and divine favor in my life as I do. You will see the same if you will speak to the unseen things the Father has for you and call them into manifestation. Want to learn exactly HOW to call God’s finished works for your life into manifestation? 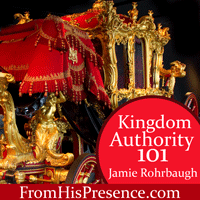 Download the audio MP3s from Kingdom Authority 101, my 4-session live workshop about how to walk in supernatural, miracle-working authority like Jesus did! It will fire you up and freak you out, as well as give you all the practical tools you need to begin walking in kingdom authority. “Be still, and know that I am God; I will be exalted among the nations, I will be exalted in the earth” (Psalm 46:10). The time has come to rest in God like never before. Don’t be afraid to pull back from busyness. Take time just to be. You may need to remove some good things from your schedule so you can make room for the best things. I serve a lot at my local church, doing things that I’m called to do. But I attend a huge church, so there are tons and tons of ministry opportunities. And you know what? I can’t help with them all. If I help with things I’m not called to do, it prevents me from doing the things I am called to do. So I have to say no to a lot of things, and that’s fine. I don’t spend even one moment feeling bad for saying no. I’m protecting the call of God on my life by doing so. In this new season, I would encourage you to take your schedule before the Lord and ask Him to talk to you about it. Is there anything here I’m doing for the wrong reasons? Is there anything here that’s draining me, instead of energizing me? Is there anything here that You called me to for a season, but that season is over now? And if the Lord shows you things in your schedule that need to be eliminated or realigned, don’t hesitate to obey Him. I promise: you won’t regret it. The most important thing the Lord spoke to me about this season of rest is this: TRUST. Trust in who Father is. Trust that He will bring you into the good things He has for you as you seek Him first. Trust that He prepared all the good works for your life before the foundation of the world. Trust that His Word really is true, and it really does apply to you. I encourage you to get the first four chapters of Hebrews deep in your spirit. Read those chapters over and over, and ask God to teach you what rest looks like in your life. Related: Read my story about embarrassing rest #fails in Rest in God, Reach Your Destiny. If you will rest in God, believe His Word, and seek Him first, HE will do the heavy lifting for you. May you receive ALL the outrageous, unimaginable blessings that Daddy God has in store for you in this new season! Does this word speak to your heart today? If so, please leave a comment below. I’d love to hear from you! Kingdom Authority artwork: “Lord Mayors Coach (6266582740)” by Tony Hisgett from Birmingham, UK – Lord Mayors CoachUploaded by tm. Licensed under CC BY 2.0 via Wikimedia Commons. It spoke to me indeed totally symmetrical with all my pastor taught in midweek service. Thanks Jamie, I celebrate you! Yay! So glad Daddy God encouraged you. And thank you! 🙂 Have a wonderful day! “Blessed be the God and Father of our Lord Jesus Christ, the Father of mercies and God of all comfort, who comforts us in all our tribulation, that we may be able to comfort those who are in any trouble, with the comfort with which we ourselves are comforted by God” (2 Corinthians 1:3-4). God works seasonally. He does a certain thing in one season; then, when that work is done, He changes the seasons and begins a new work. And generally, the entire Body of Christ is experiencing the same season because it’s the same God working in us all! I know things have been tough for you lately. I remember you frequently and lift you up to our Father. He loves you so much. You hang in there, sister, and look to Him to fight your battles for you. He will!!! (((((Hugs!!!!!!!!!))))) and blessings to you today. This totally lines up with with what He has been showing me! And that exodus 14:13 was a verse He gave me an entire study on last night and laid on my heart the battle is His- truly amazing how He gets our attention!! I understand your frustration. I feel your pain. Now let me give you the answer to this test. 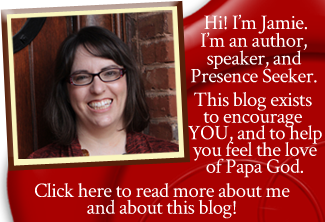 Julie posted how to fight against the spirit of Jezebel and win. Go back and read it and do what it says. As you do,all the directives in this blog will manifest. Even if your husband doesn’t change you will. Rest is a weapon. Praise is a weapon. Worship is a weapon. Just use your weapons. I will be praying for you. much love your sister in Christ. Amen, Jennifer! He’s awesome! I love how He speaks to us all at the same time! Hi Karen. I’m so glad this also lines up with what God is speaking to your church! It’s awesome how He talks to His whole Body at once, isn’t it? I’m honored that you would ask about the newsletter. I’ll email you about that separately. 🙂 Thanks! The Holy Spirit is right on time. He is definitely using you during this season of my life. So much has changed since I reached out to you to pray for me. I know God is doing a 180 to realigned my life. Trust is the key word. Trusting in Him that His plans are good for us. Amen! SOOO glad things have been shifting in your life! I have prayed for you. And yes… He’s such a good, good Father and I know He has amazing things in store for you. Hang in there, sister! 🙂 Have a wonderful day! Amy, I understand the thing about wondering if you missed the promise–about wondering if you made it all up in your head. Years ago, God called me to preach. But many years passed and I didn’t see much progress toward that. (Looking back, I can see that He was growing the necessary character in me, but I didn’t see it at the time.) Anyway, I got to the place where I thought I must have imagined the call. After all, nothing was happening! But I started asking God to re-confirm His call to preach if that is what He was calling me to do. Jaime, your posts have been such a blessing to me. I have followed you for almost a year now. My life has changed soooooo much and you have played a part in that by being obedient and writing what Papa tells you to. My world is being shaken again now but in a good way. I am falling completely in love with Jesus and am excited to see the amazing things that will happen this season. Thank you and God Bless! Wow, Anja, thank you so much for telling me that. Seeing people changed and overtaken by the love of Daddy God is what keeps me going. God’s love is the greatest thing on earth. I’m so thankful to Him. May He continue to bless you and lift you up as you humble yourself before him!